2" 3M Reflect. Back Letter Panel, Silver ProBlock, Straight | 830068, STAHL'S, 2" 3M Reflect. 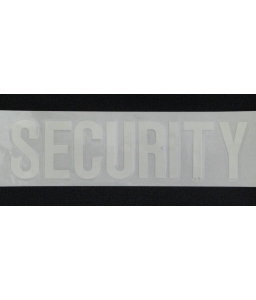 Back Letter Panel, Silver ProBlock, Straight | McDonald Uniforms, Inc.
3M Scotchlite Silver Reflective Letter Panels for Heat Seal.Maximum characters- 15.